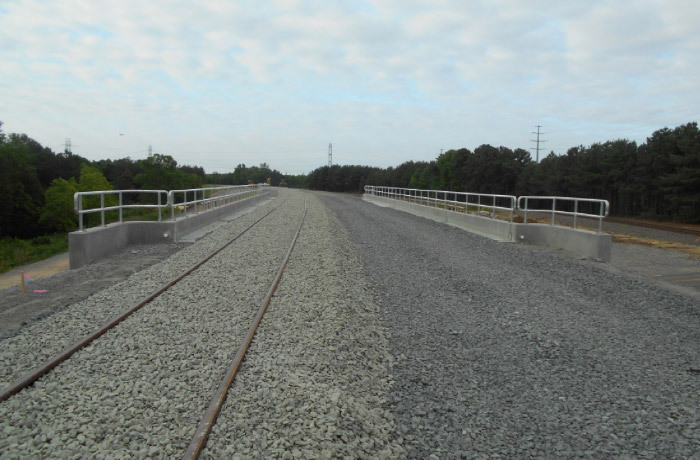 This NCDOT project (TIP U-4716A/C) involved 3.8 miles of grading, drainage, and trackbed for a new mainline and siding track in Durham and Wake Counties. The project also included a new four-span underpass structure over Hopson Road providing improved safety, efficiency and mobility in the area. TGS provided preliminary engineering, and construction engineering and inspection services to Norfolk Southern on this $22M project.